A personalised wooden key ring - a perfect gift for someone special. Are you stuck for a gift idea? Then Angelic Hen are here to help. 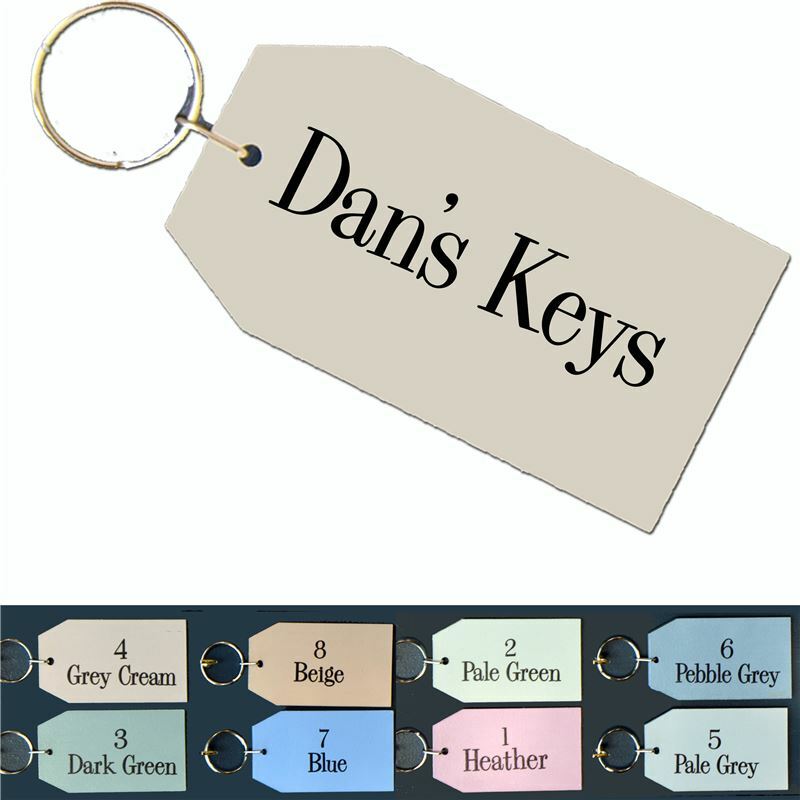 Our personalised hand painted wooden key rings make perfect gifts for a range of occasions: a thank-you present for your best man, a gift for the man who has everything, a perfect thoughtful gift for your favourite auntie or for grandpa. These chunky wooden key rings are designed by the calligraphers at Angelic Hen here in our studio in the Wye Valley. The chunky wooden tag is attached to a metal key ring. Dimensions: 10cm long by 5.5cm high. When ordering please specify the name you would like to include and the colour of the wooden tag: we offer red, cream, blue, pale green or pink. Because the wooden key ring is personalised and made to order please allow 2 weeks for delivery.